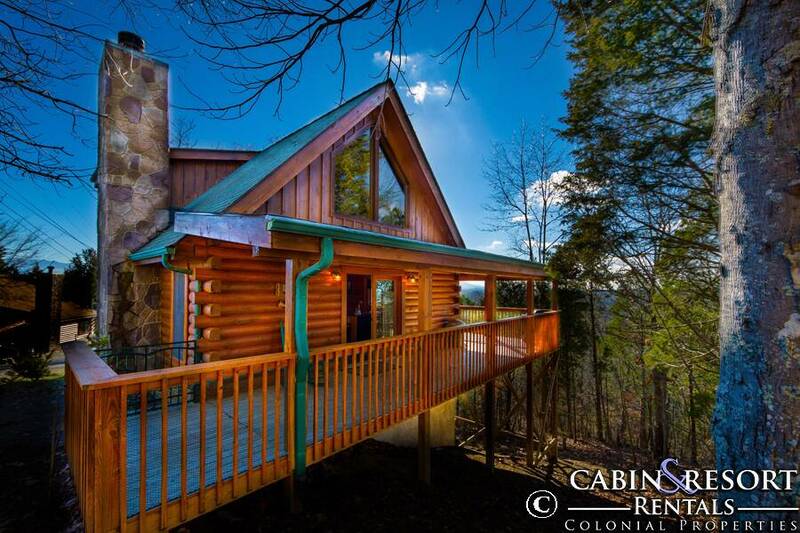 Welcome to Way Too Good in the Smokies! 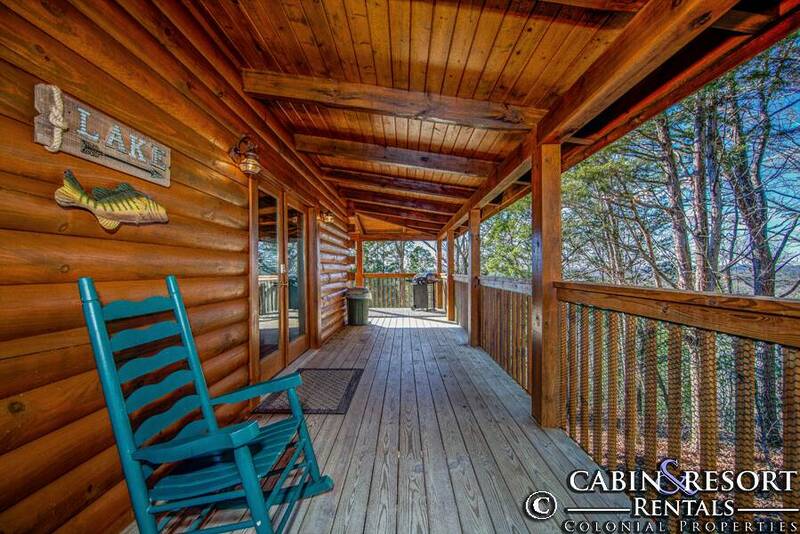 This 2 bedroom, 2 bath cabin rental is a beautiful vacation getaway that offers a view of the Smoky Mountains, the countryside, and Douglas Lake in the distance. 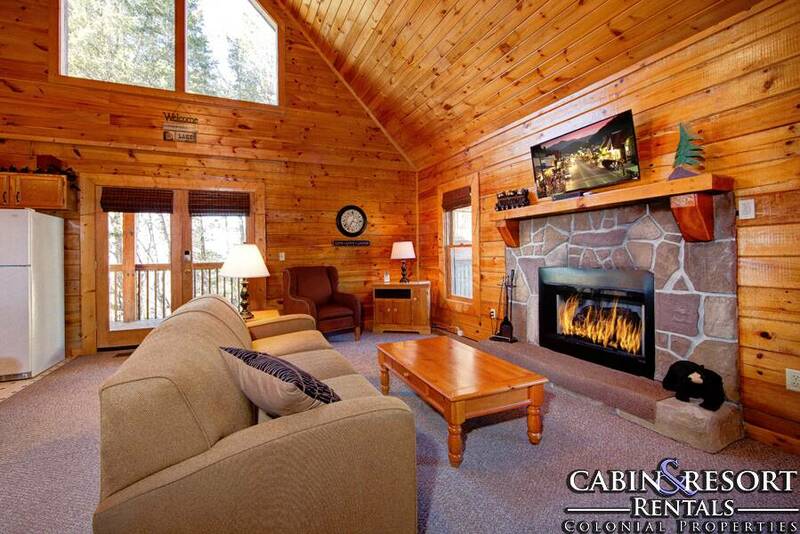 You'll love staying in this special pet friendly cabin at all times of the year. At Way Too Good, all sizes and breeds of dogs are welcome. Bring your beloved member of the family without worry of a weight or breed restriction. As you enter Way Too Good you are immediately greeted by natural wood accents in an open concept design. The inviting living room greets you with comfy furnishings, a stone accented fireplace, flat screen TV and a beautiful cathedral ceiling overhead. 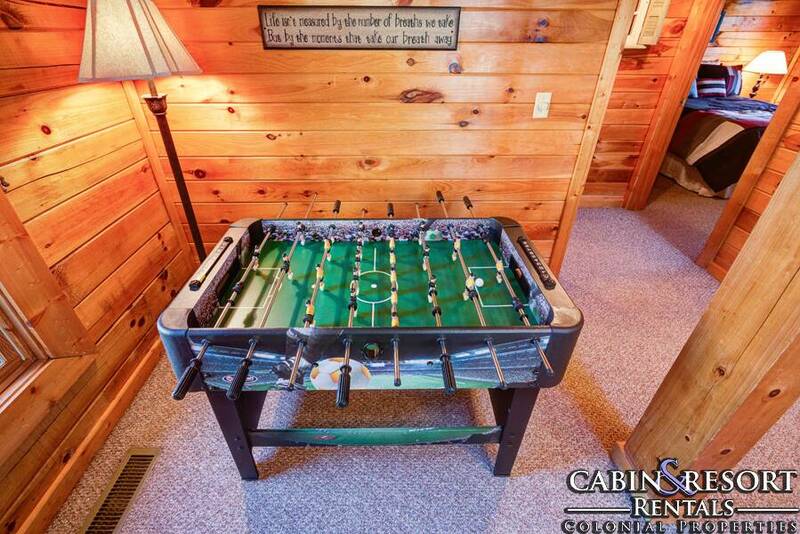 You'll love the convenience of having the foosball table to enjoy a game with friends or family and the deck access for outdoor entertaining. 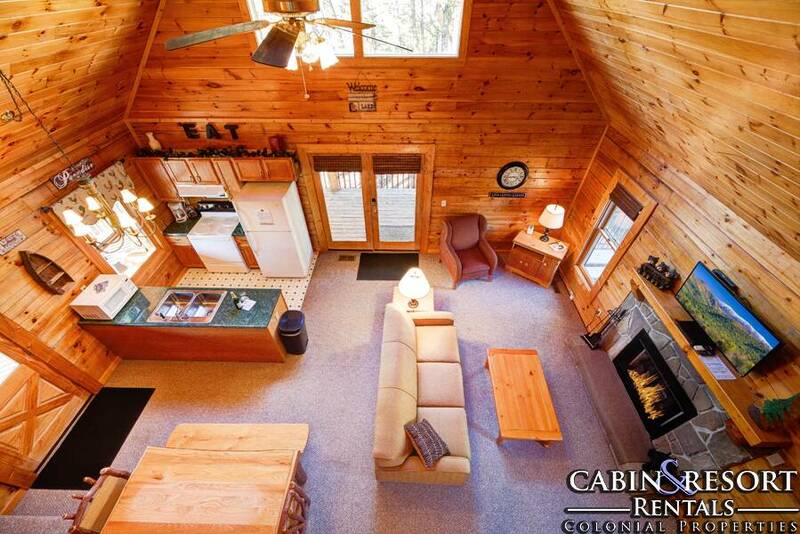 Inside this open floor plan cabin you can prepare a meal from the fully equipped kitchen right off the living room. 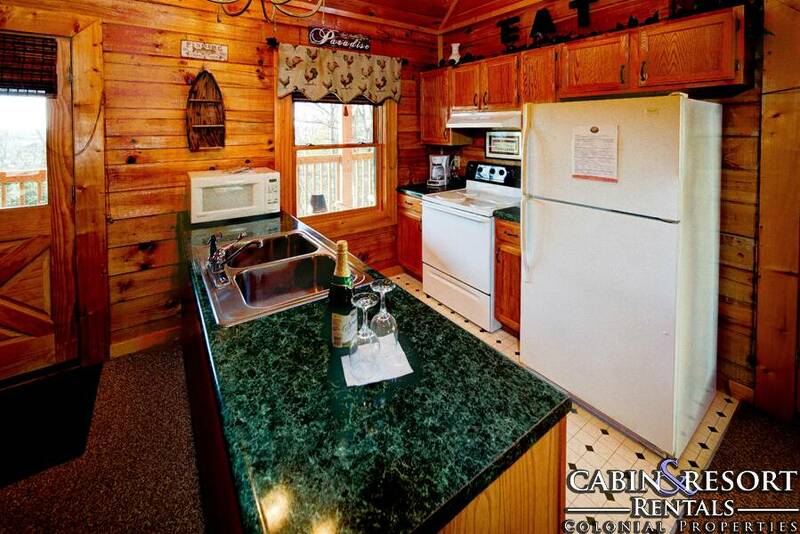 With modern appliances and all of the necessary utensils to prepare a delicious meal, you and your guests will have the luxury of eating meals in the comfort of your own cabin. 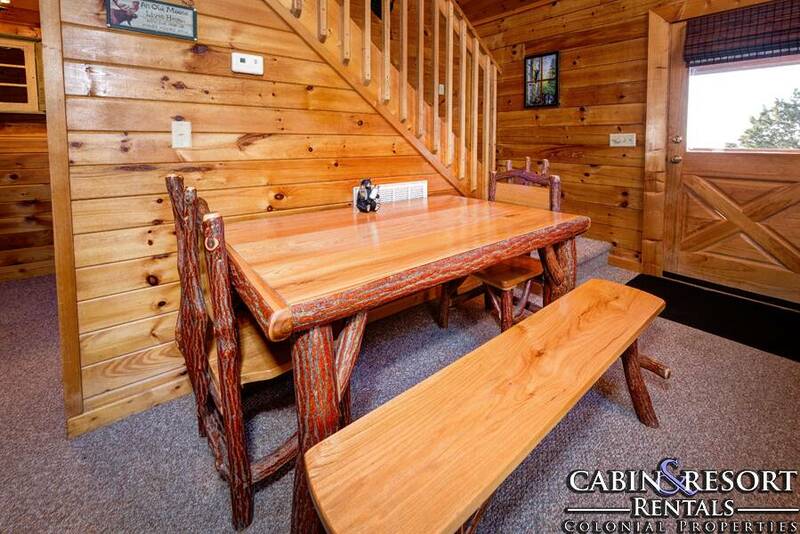 Adjoining the kitchen is the dining area with a custom log table with benches. 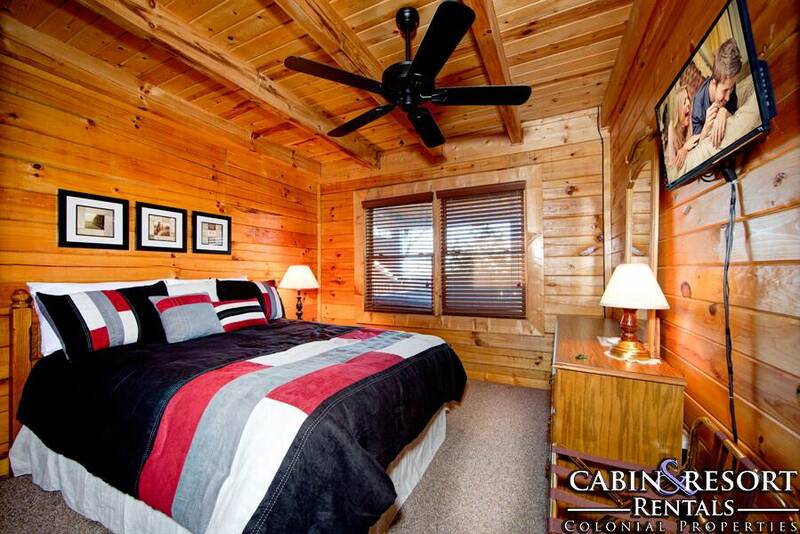 On this level of Way Too Good you'll find the first cozy bedroom with a queen bed and attached bathroom. 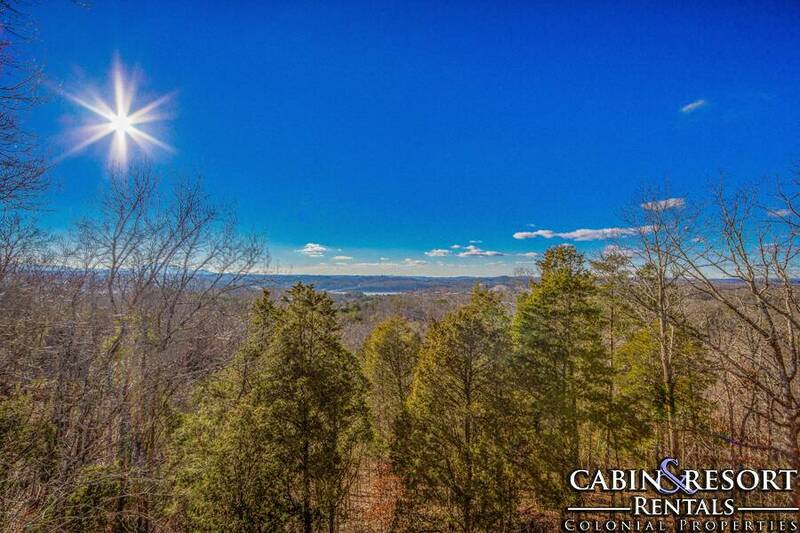 Take a trip upstairs for the second bedroom with a queen sized bed, attached bathroom, and balcony to step out onto and enjoy the gorgeous view of the Smoky Mountains and Douglas Lake in the distance. 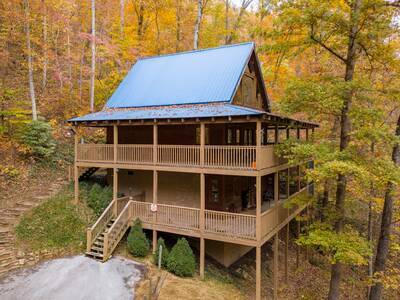 Way Too Good features a spacious deck complete with plenty of seating and the bubbly outdoor hot tub you can relax in. 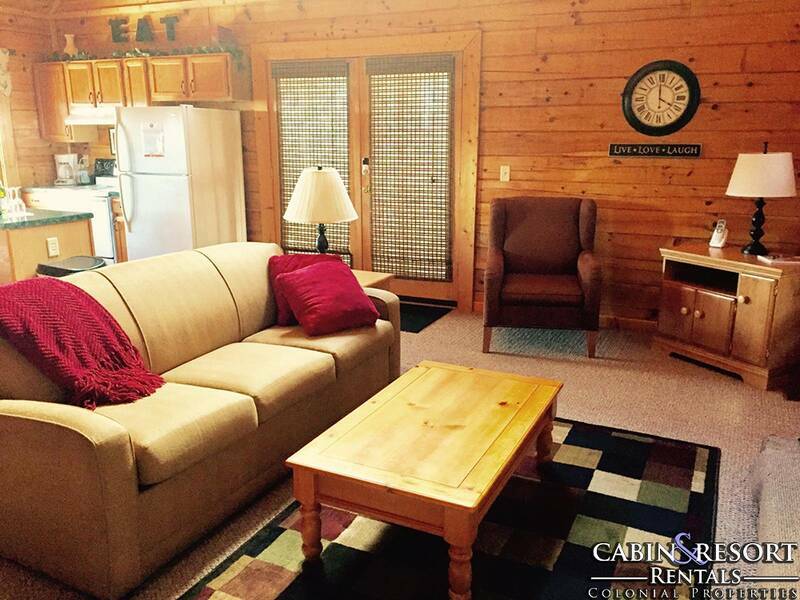 This special 2 bedroom cabin is located near Douglas Lake, a 500,000 acre recreation lake. 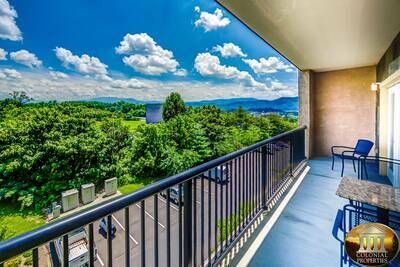 You’re also only minutes from downtown Pigeon Forge, Sevierville, Gatlinburg and the Great Smoky Mountain National Park. 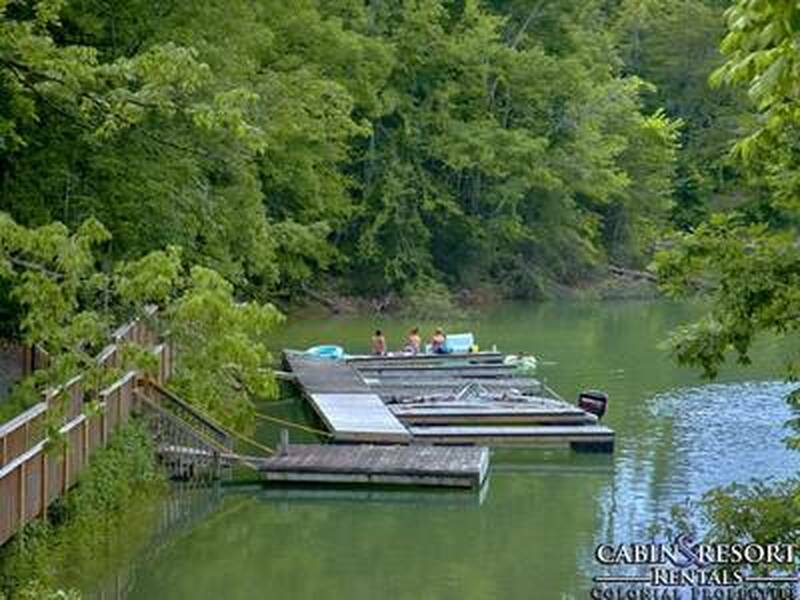 You're sure to love the lake access down at the dock! In the warmer months, you’ll want to bring along your bathing suit and sunscreen so that you can take full advantage of the seasonal outdoor swimming pool located in this resort. Complimentary high speed internet access is provided. Bring along your laptop or mobile devices and enjoy the WiFi here. 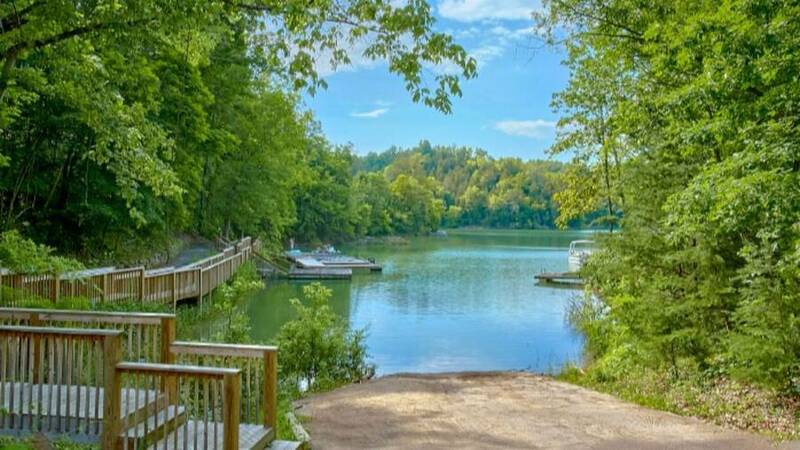 If you're looking for a cabin away from all of the traffic and close by the lake, your stay at this Smoky Mountain vacation getaway is sure to be one you’ll enjoy. 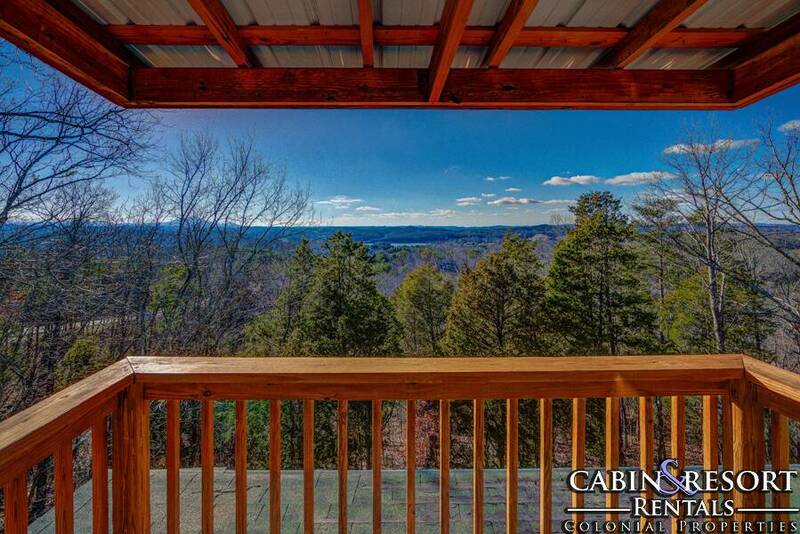 Reserve your cabin adventure today! A: Approximately 5 mins away drive time. A: Hi! No. 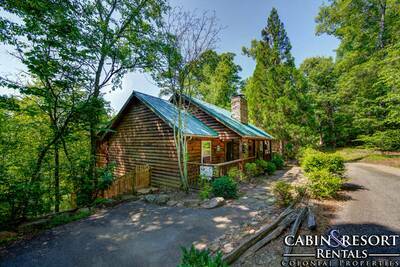 The roads are paved all the way to the cabin. “ Great vacation. Had a wonderful time. “ This was our first experience in TN, but won’t be our last. We came up with no agenda, but to relax and that is exactly what we did. 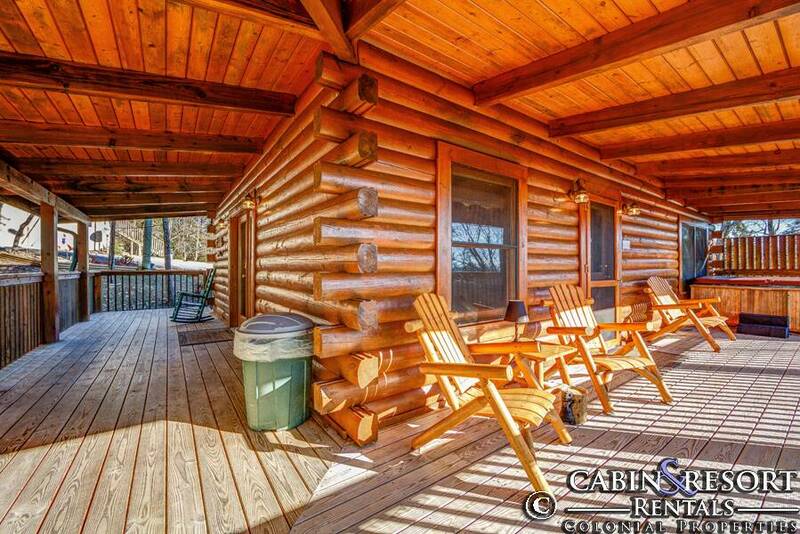 I’m so thankful we found the cabins online. Way to good is just as the name states. It’s spacious and extremely clean! 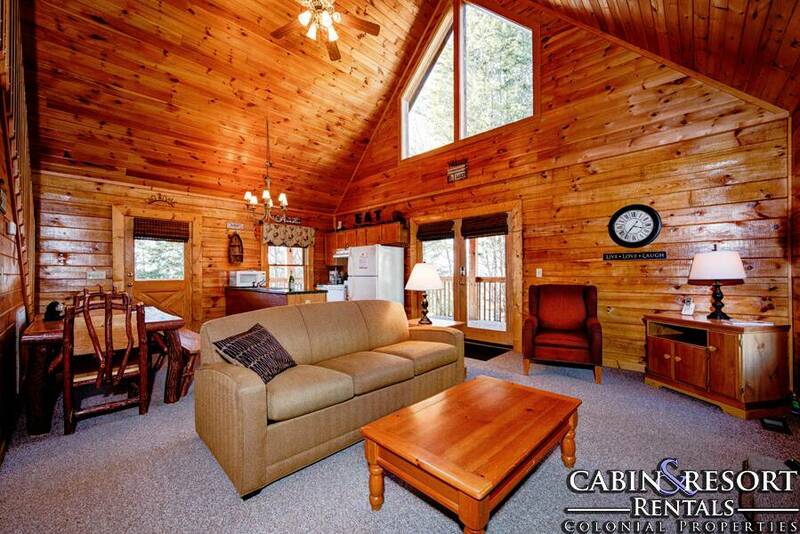 The coziness of the cabin and the amazing views made it easy to relax and enjoy. We spent time at the pool during the day and the hot tub in the evening. Played some board games and just enjoyed family time without electronics. We took a day trip to Gatlinburg and explored a little of the National Park. Due to rain and thunderstorms that was cut short. 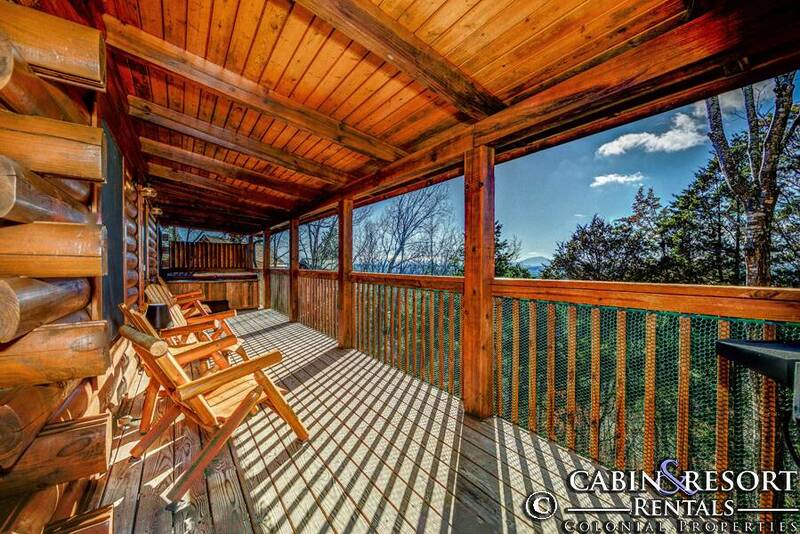 We would love to and mostly likely will, come back and experience more of TN staying a cabin again. 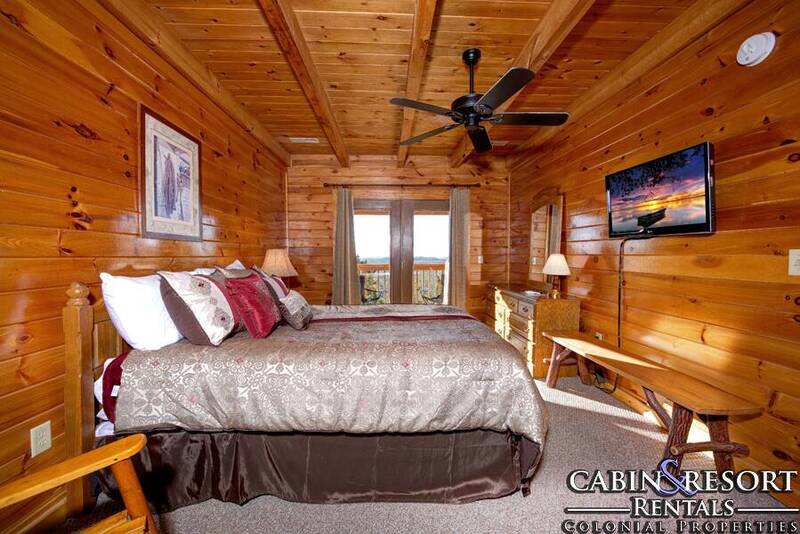 “ Everything was very nice with the cabin. “ Loved it!! Had a excellent time!!! 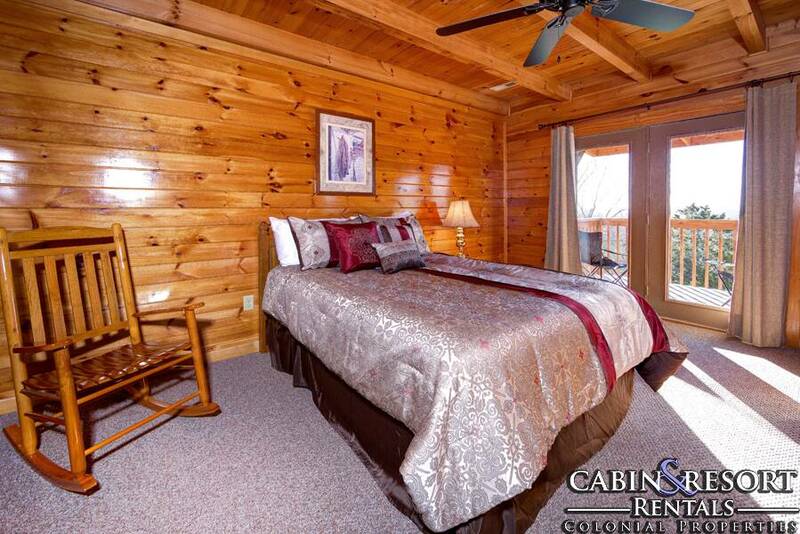 “ Cabin was cozy and clean we enjoyed our stay. 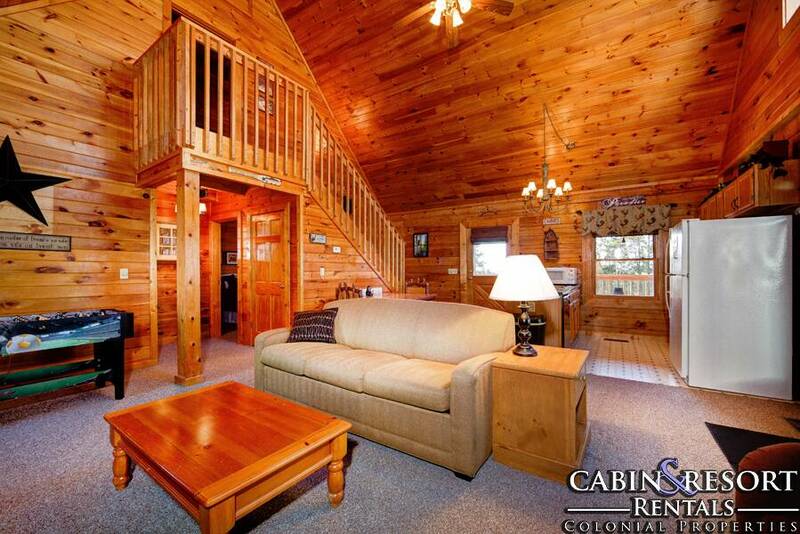 “ The cabin was adorable! 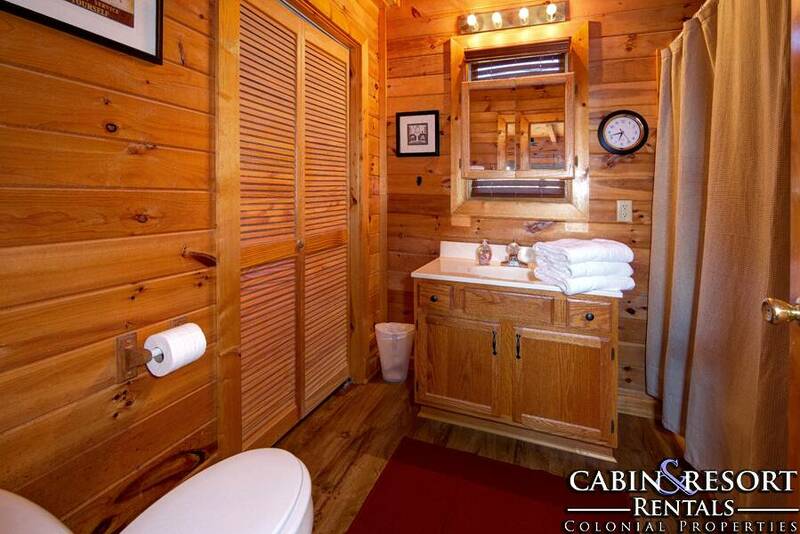 “ Clean and tastefully decorated. Ample space for our group. 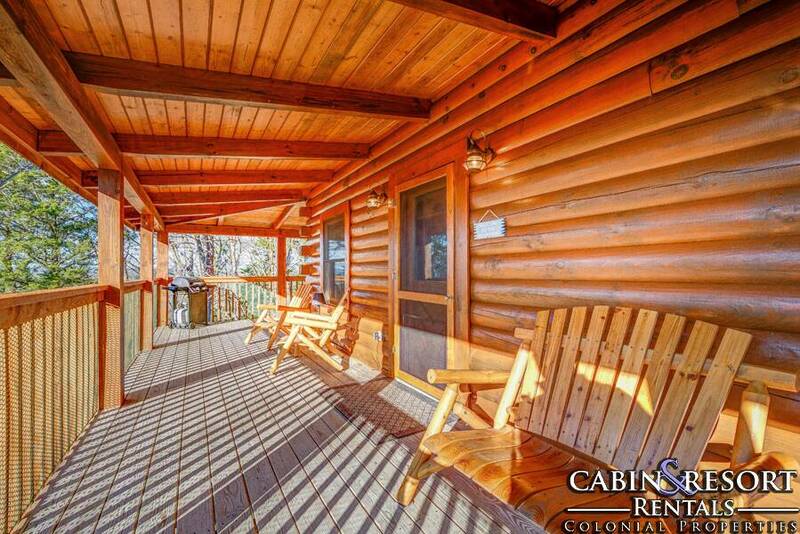 “ We had THE MOST amazing time at this cabin! My family and I vacationed here in January of 2018, and enjoyed every minute of our stay. Upon arrival, we immediately fell in love with the coziness and personal touches that the owners created for their guests; you could really tell that they had the tenants in mind when setting up the space. From the webpage description, we knew that everything we needed would be included. However, we planned ahead and brought things that we were sure we would need such as dog food and sugar for coffee. If you choose to stay here, and forget dog food or coffee, or even sugar, fret not. The owners provided a supply of science diet and coffee just in case. There was also charcoal for us to use and a full supply of grilling utensils were included. For the total amount that we paid, this really was a bargain. Though it is a two bedroom, there was tons of space here, and the our kids loved the pull out couch. The fireplace made us feel so at home, and my wife and I found ourselves rarely looking at our phones or turning on any of the 3 or 4 tv's in the house. We had a blast looking through the tourist guides, board games, and guest book with the kids. I loved the fact that the porch was screened in all the way around, so that our dog could run around outside. 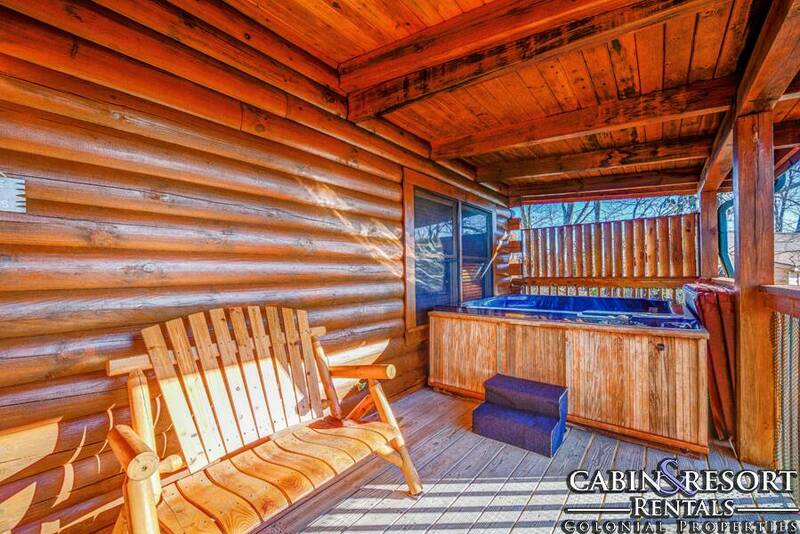 It was so peaceful sitting outside and looking at the mountains, and we thoroughly enjoyed the hot tub. 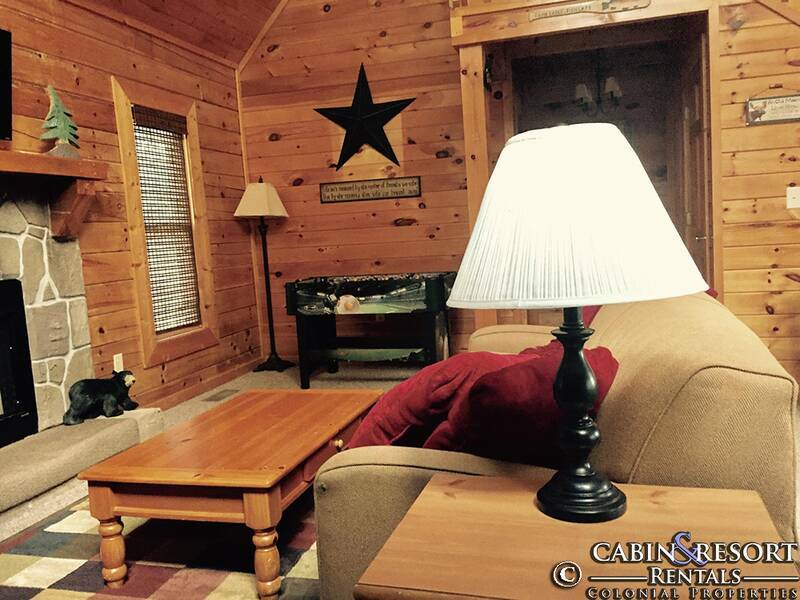 The seclusion here is just what we needed, though the other cabins are close by just in case you wish to make some new friends. Our kids found a buddy next door that they explored the woods with. 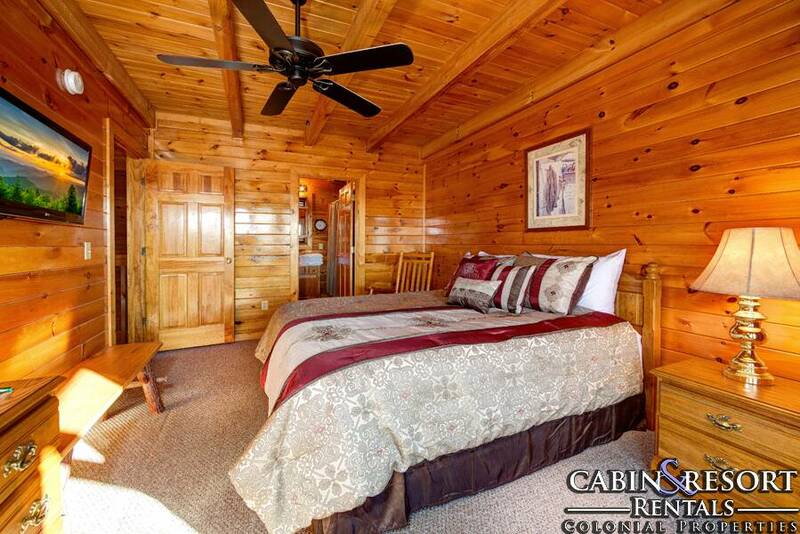 If there is anything negative to say about the cabin, I would say that the master bedroom door did not latch and that we had a small issue with moths and ladybugs coming from the master balcony. These weren't so problematic though, as we used the bench in the room to barricade the door from the dog trying to come in, and when the time came to check out, the ladybugs had seemed to be just another part of the charm in our home from everyday life. We will absolutely be staying here next time we visit, and would recommend Way Too Good to any of our friends or relatives. Thank you for the amazing vacation, and for the great memories. 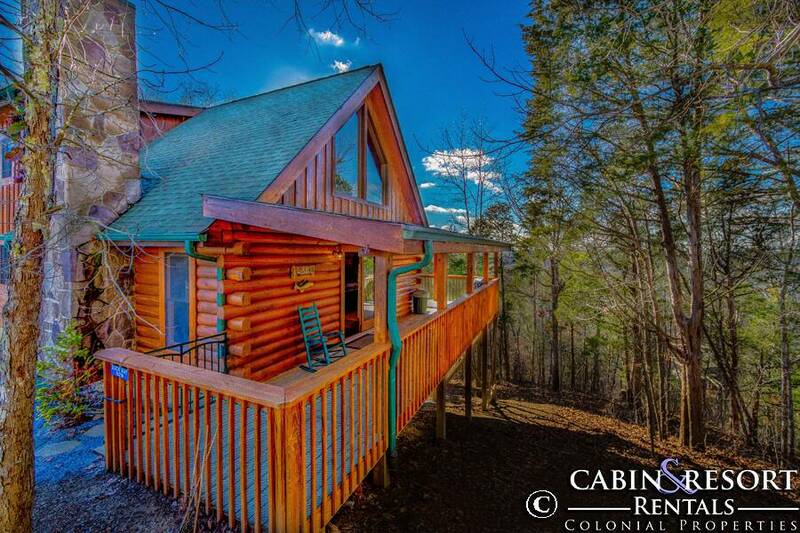 “ Great cabin, loved the deck! 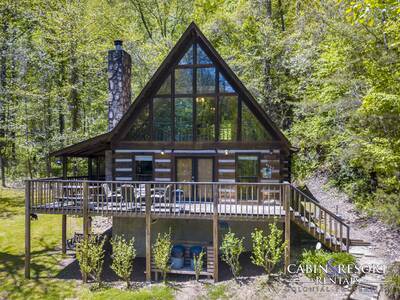 “ This cabin is perfect for a family of 4-6. It’s open to pets as well but we decided not to bring ours this trip. There’s no evidence pets have been inside if you aren’t a pet lover and thinking about renting here. 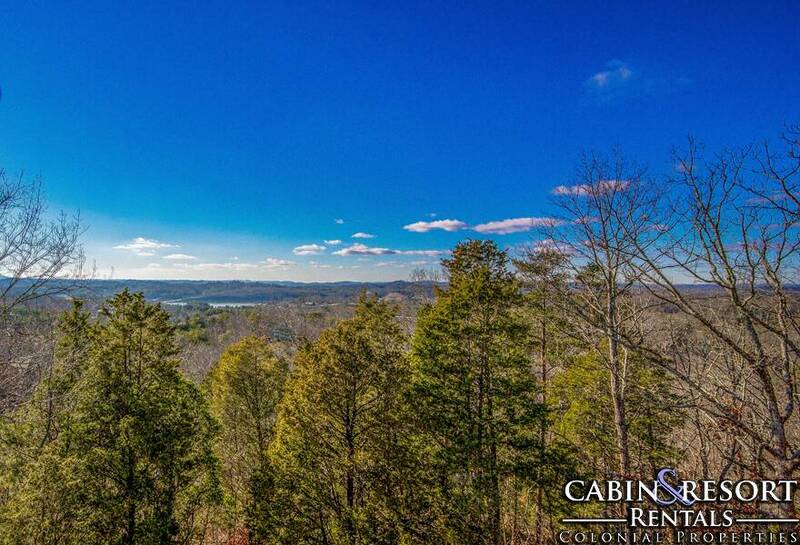 Really easy and short distance to Gattlinburg/Pigeon Forge and town center. I’d recommend getting directions from a local to bypass some traffic, Thanksgiving is a very very busy time. 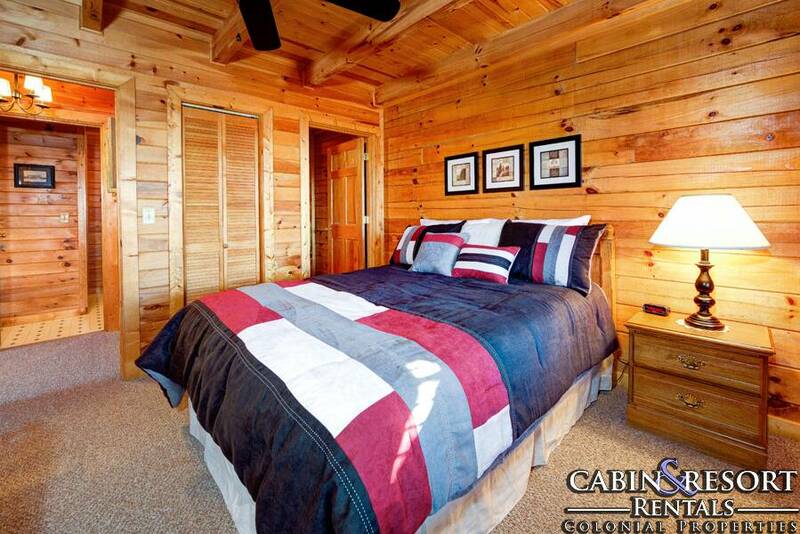 “ Cabin was very nice and clean and the beds were great! 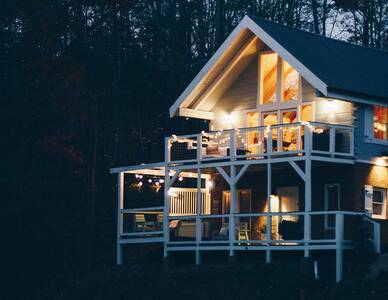 “ Had the best most relaxing time. The view was amazing. 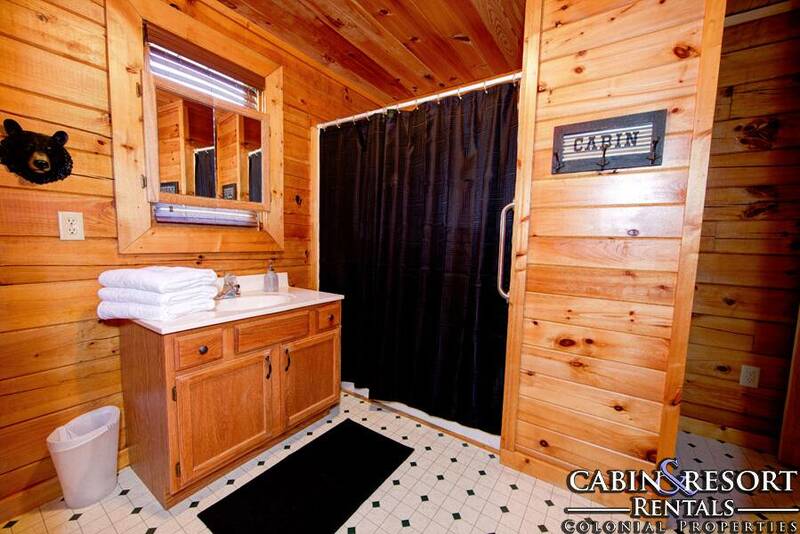 The cabin was clean and cozy. Just perfect.